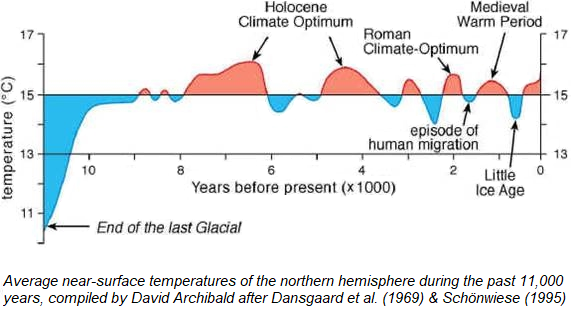 It used to be that most scientists agreed that, over the last few thousand years, the Earth's climate has oscillated, on timescales of a few centuries, between warm “climate optimums” and unpleasant cold periods: the long Mid-Holocene Climate Optimum (when temperatures were apparently substantially warmer than now), followed by a cooler period, which was followed by the Minoan or Bronze Age Warm Period, followed by the Iron Age Cold Period, then the Roman Warm Period or Roman Climate Optimum (“RWP”), then the Dark Ages Cold Period (“DACP”), then the Medieval Warm Period or Medieval Climate Optimum (“MWP”), then the Little Ice Age (“LIA”), and finally the Current Warm Period (Modern Climate Optimum). 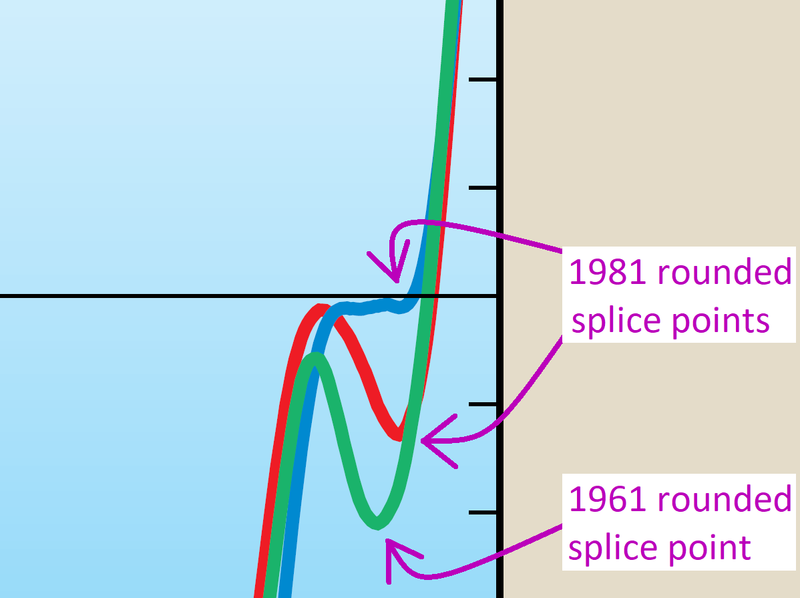 Jones used identical colors for the proxy reconstruction data and instrument data, and rounded the three splice points to hide the splices. Despite the graph labels which claimed that the three traces were proxies, from 1981 on all three traces were actually real (instrument) temperature data (and the green trace was real temperature data from 1961 on). Yet the three traces of the same instrument data were slightly different, because, to hide the splice points, Jones had to bend the traces a bit, to make them line up with the three proxy traces. •et; On one side, the indispensable CO2 Science project has compiled an extensive collection of studies and papers with evidence for the traditional view: that the MWP and LIA were real and global. Also, here are two articles and a map, showing the preponderance of studies which support that view. 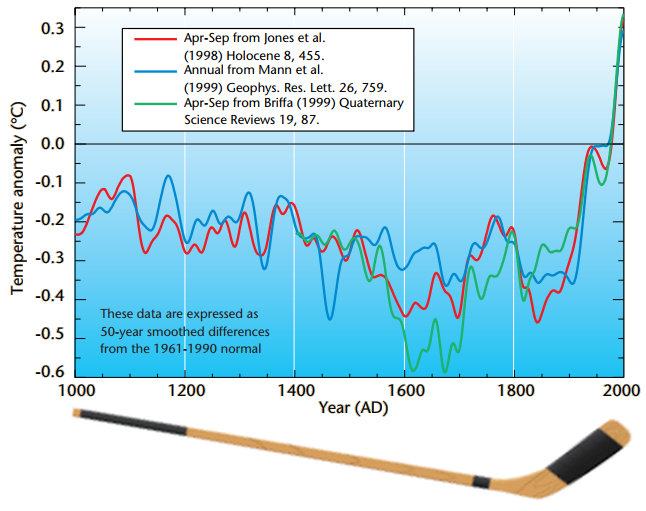 Canadian mathematician Steve McIntyre has written an excellent multi-part critique of the Pages2K project here, and has compiled a large collection of “hockey stick study” resources here.